Pakistan is an intolerant country where human rights are routinely violated and minorities are persecuted. The paradox is that the country was created because Indian Muslims feared a marginal life among undivided India’s Hindu majority. Within the political campaign for Pakistan itself, however, minority Muslim communities such as the Ahmadis, Ismailis, and Shias formed the vanguard of the All India Muslim League which demanded greater rights for Muslims. It should also not be forgotten that non-Muslim communities such as South Asian Zoroastrians and Christians were Jinnah’s comrades in the quest for Pakistan. Thus, a secularist conception of the state was envisioned by the country’s founding forefathers. 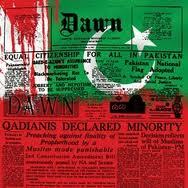 But for reasons which I will not expand upon here, the secular democracy was destroyed in Pakistan. In relation to the present case it is sufficient to remember that, fanning the flames of hatred in order to drum up support for the Afghan Jihad, America’s crony General Zia amended the criminal law by introducing harsh criminal penalties against Ahmadis (see previous post) for publicly manifesting their faith as “Muslims”. Against this gory background, the Court of Justice of the European Union (“CJEU”) has ruled that certain forms of serious interference with the public manifestation of religion may constitute persecution for reasons of religion and that where that persecution is sufficiently serious, refugee status must be granted. The ruling is inherently similar to domestic UK judgments under which people should not have to suppress their sexual preferences (or act as if their sexuality does not exist) or lie about their political beliefs (or lack of them) to avoid persecution. Y and Z were Pakistani nationals living live in Germany where they sought asylum and protection as refugees because of their membership of the Ahmadi community. They claimed that they were forced to leave Pakistan on account of their religion. Y claimed that he was repeatedly beaten by band of individuals in his village. The same people also pelted him with stones in the local Ahmadi mosque. Similarly, threats were made that he would be killed and he was reported to the police for insulting the Prophet Mohammed (Peace Be Upon Him). Likewise, Z claimed that he was mistreated and imprisoned because of being an Ahmadi. Y and Z’s asylum claims were not accepted by the German Bundesamt für Migration und Flüchtlinge (Federal Office for Migration and Refugees, “the government/authorities”) which took the view that the prohibitions on Ahmadis’ public religious practice set out in the Pakistan Penal Code 1860 (as amended) did not amount to persecution for asylum to be granted. Under section 298C, Ahmadis may face up to three years’ imprisonment or a fine if they claim to be Muslim, describe Ahmadi’ism as Islam and preach or propagate or invite others to accept their doctrines. Equally, under section 295C, anyone found guilty of defiling Prophet Mohammed’s name may be punished by death or life imprisonment and a fine. Upon appeal, the Verwaltungsgericht (Administrative Court) – in Leipzig and Dresden respectively – allowed Y’s appeal and dismissed Z’s. Subsequently, the Sächsisches Oberverwaltungsgericht (Higher Administrative Court of the Land Sachsen) dismissed the government’s appeal in Y’s case and varied the first instance judgment against Z to reflect that his deportation violated the national law (Aufenthaltsgesetz). The reasoning was that rather than individual persecution, active Ahmadis were at the risk of collective persecution within the meaning of the Aufenthaltsgesetz. The Sächsisches Oberverwaltungsgericht noted that devout Ahmadis considered the public manifestation and expression of their faith as an essential ingredient of their religion which preserved their public identity: unable to practise Ahmadi’ism in Pakistan freely (as opposed to Germany), Y and Z’s religious freedom would be compromised. Aggrieved, the government appealed to the Bundesverwaltungsgericht (Federal Administrative Court): it argued that the scope of Articles 9 and 10(1)(b) of Directive 2004/83/EC (“the [qualification] directive”) had been interpreted too generously because German case law before the transposition of the directive provided the right of asylum in cases only where the “core areas” of religious freedom were interfered with. So restrictions on the public practice of a faith were outside the “core areas”. Moreover, there was a gap in the lower court’s judgment about how Y and Z worship in Germany to establish that they cannot refrain from certain activities that are not part of the “core areas”. 1. Is Article 9(1)(a) of the directive … to be interpreted as meaning that not every interference with religious freedom which infringes Article 9 of the ECHR constitutes an act of persecution within the meaning of [the former provision], and that a severe violation of religious freedom as a basic human right arises only if the core area of that religious freedom is adversely affected? (a) Is the core area of religious freedom limited to the profession and practice of faith in the areas of the home and neighbourhood, or can there be an act of persecution, within the meaning of article 9(1)(a) of the directive …, also in cases where, in the country of origin, the observance of faith in public gives rise to a risk to life, physical integrity or freedom and the applicant accordingly abstains from such practice? Does it suffice in that case, in order for there to be a severe violation of religious freedom, that the applicant feels that such observance of his faith is indispensable in order for him to preserve his religious identity? Or is it further necessary that the religious community to which the applicant belongs should regard that religious observance as constituting a central part of its doctrine? Or can further restrictions arise as a result of other circumstances, such as the general conditions in the country of origin? Is there a well-founded fear of persecution, within the meaning of article 2(c) of the directive …, if it is established that the applicant will carry out certain religious practices – other than those falling within the core area – after returning to the country of origin, even though they will give rise to a risk to his life, physical integrity or freedom, or can the applicant reasonably be expected to abstain from such practices? Observing that the Refugee Convention underpinned the legal framework for protecting refugees, the Court  noted that the directive guided Member States’ authorities “in the application of that convention on the basis of common concepts and criteria”: Salahadin Abdulla (Area of Freedom, Security and Justice)  EUECJ C-175/08, Bolbol (Area of Freedom, Security & Justice)  EUECJ C-31/09. And  under recital 10 of the directive it must be interpreted consistently with the Charter of Fundamental Rights of the European Union (“CFR”): Salahadin Abdulla, ; Bolbol, ; NS (European Union law)  EUECJ C-411/10, . For the CJEU, the first two questions referred inquired whether (i) article 9(1)(a) of the directive is to be construed to mean that any interference with infringing article 10(1) – the right to religious freedom – of the CFR constitutes an “act of persecution” within the meaning of that provision of the directive; and (ii) whether a distinction must be made between the “core areas” of religious freedom and its public expression. Moreover, under article 2(c) of the directive, “refugee” means a third country national who has a well-founded fear of persecution in his country for a Refugee Convention reason – religion being one out of five – is unwilling to avail the protection of that state due to the circumstances, and behaviour of actors of persecution, there. Article 10(1) of the CFR corresponds with the right guaranteed by article 9 ECHR but article 13 and article 9 of the directive requires refugee status to be granted where there are “sufficiently serious” or “severe” acts of persecution or (through repetition) “sufficiently severe” violations “of basic human rights: especially the absolute rights where no derogation under article 15(2) ECHR was allowed  – . Under article 9(3) of the directive there must be a connection between the reasons for persecution and the acts of persecution . Whilst freedom religion was important in a democratic society, the fact remained that the directive required a “serve violation” for acts to count as persecution . Article 10(1) CFR read with article 52 CFR (scope of guaranteed rights) allowed, subject to proportionality, limitations so long as the essence of the rights and freedoms was respected . Likewise, acts infringing freedom of religion which are not grave enough to mandate derogation under article 15 ECHR could not be regarded as persecution under the directive or the Refugee Convention . Whether an act was capable of constituting persecution under article 9(1)(a) of the directive was not a function of distinguishing between acts that interfere with the core areas of religious freedom (excluding public activities) in comparison to acts that do not affect the core areas . But the distinction was at odds with wide definition of religion in article 10(1)(b) of the directive. Equally, severe violations under article 9(1)(a), were not limited to the practice of a faith in private circles but also included individuals’ freedoms to live their faith publicly . Therefore, the public or private, or collective or individual, nature of the manifestation and practice of the religion did not determine whether a violation of the right to freedom of religion amounted to persecution. Rather, the severity of the measures and sanctions adopted or liable to be adopted against the person concerned decided the question. Such an approach ensures that article 9(1) is applied in way which enables authorities to assess all types of acts which interfere with religious freedom to conclude whether, by their nature or repetition, the said acts are sufficiently severe to constitute persecution. The question whether a violation of freedom of thought conscience and religion, guaranteed under article 10(1) CFR, constituted persecution within the meaning of article 9(1) of the directive was determined by the severity of the penalty for the individual concerned . Hence, a violation may be persecution where the asylum seeker/the person concerned (in their home country) faces “a genuine risk” of prosecution or inhuman or degrading treatment or punishment by state (or non-state actors of persecution or serious harm) under article 6 of the directive . Under article 4(3) of the directive all the acts which an asylum seeker had suffered or risked being exposed to needed to be assessed in determining whether, given the applicant’s personal circumstances, the acts in question amounted to persecution within the meaning in article 9(1) . The Court said that where the participation in formal worship, either alone or in community with others, may give rise to a genuine risk of prosecution or being subjected to inhuman and degrading treatment, the violation of the right to freedom of religion may be sufficiently serious . The Court held that in the risk assessment Member States’ authorities must consider both objective and subjective factors. The subjective circumstances that the public observance of a certain religious practice of particular importance to the person concerned – that preserves his/her religious identity – was a relevant factor in ascertaining the level of potential risk in the country of origin: this was also the case even if observing the said religious practice did not form a core element of the concerned person’s faith . Under article 10(1)(b) of the directive both personal and communal conduct which the asylum seeker thought vital/necessary in their lives, “namely those ‘based on … any religious belief’ – and to those prescribed by religious doctrine – namely those ‘mandated by any religious belief’” . for the purpose of determining whether interference with the right to freedom of religion which infringes Article 10(1) of the Charter of Fundamental Rights of the European Union may constitute an “act of persecution”, the competent authorities must ascertain, in the light of the personal circumstances of the person concerned, whether that person, as a result of exercising that freedom in his country of origin, runs a genuine risk of, inter alia, being prosecuted or subject to inhuman or degrading treatment or punishment by one of the actors referred to in Article 6 of Directive 2004/83. Article 2(c) of Directive 2004/83 must be interpreted as meaning that the applicant’s fear of being persecuted is well founded if, in the light of the applicant’s personal circumstances, the competent authorities consider that it may reasonably be thought that, upon his return to his country of origin, he will engage in religious practices which will expose him to a real risk of persecution. In assessing an application for refugee status on an individual basis, those authorities cannot reasonably expect the applicant to abstain from those religious practices. This entry was posted in Article 9, Asylum, CFR, CJEU, ECHR, Germany, Pakistan and tagged 2004/83/EC, Asylum, European Union, Persecution, PPC 1860. Bookmark the permalink. What does the CJEU mean when it requires member states to take into consideration both subjective and objective factors when assessing the risk for persecution? Would it be correct to say that the risk assesment that the CJEU introduces in paragraph 70 seems to be similar to the “reasons for the concealment-test” in the HJ(Iran)case in UK? 1. This country guidance replaces previous guidance in MJ & ZM (Ahmadis – risk) Pakistan CG  UKAIT 00033, and IA & Others (Ahmadis: Rabwah) Pakistan CG  UKAIT 00088. The guidance we give is based in part on the developments in the law including the decisions of the Supreme Court in HJ (Iran)  UKSC 31, RT (Zimbabwe)  UKSC 38 and the CJEU decision in Germany v. Y (C-71/11) & Z (C-99/11). The guidance relates principally to Qadiani Ahmadis; but as the legislation which is the background to the issues raised in these appeals affects Lahori Ahmadis also, they too are included in the country guidance stated below. 2. (i) The background to the risk faced by Ahmadis is legislation that restricts the way in which they are able openly to practise their faith. The legislation not only prohibits preaching and other forms of proselytising but also in practice restricts other elements of manifesting one’s religious beliefs, such as holding open discourse about religion with non-Ahmadis, although not amounting to proselytising. The prohibitions include openly referring to one’s place of worship as a mosque and to one’s religious leader as an Imam. In addition, Ahmadis are not permitted to refer to the call to prayer as azan nor to call themselves Muslims or refer to their faith as Islam. Sanctions include a fine and imprisonment and if blasphemy is found, there is a risk of the death penalty which to date has not been carried out although there is a risk of lengthy incarceration if the penalty is imposed. There is clear evidence that this legislation is used by non-state actors to threaten and harass Ahmadis. This includes the filing of First Information Reports (FIRs) (the first step in any criminal proceedings) which can result in detentions whilst prosecutions are being pursued. Ahmadis are also subject to attacks by non-state actors from sectors of the majority Sunni Muslim population. (ii) It is, and has long been, possible in general for Ahmadis to practise their faith on a restricted basis either in private or in community with other Ahmadis, without infringing domestic Pakistan law. 3. (i) If an Ahmadi is able to demonstrate that it is of particular importance to his religious identity to practise and manifest his faith openly in Pakistan in defiance of the restrictions in the Pakistan Penal Code (PPC) under sections 298B and 298C, by engaging in behaviour described in paragraph 2(i) above, he or she is likely to be in need of protection, in the light of the serious nature of the sanctions that potentially apply as well as the risk of prosecution under section 295C for blasphemy. (ii) It is no answer to expect an Ahmadi who fits the description just given to avoid engaging in behaviour described in paragraph 2(i) above (“paragraph 2(i) behaviour”) to avoid a risk of prosecution. 4. The need for protection applies equally to men and women. There is no basis for considering that Ahmadi women as a whole are at a particular or additional risk; the decision that they should not attend mosques in Pakistan was made by the Ahmadi Community following attacks on the mosques in Lahore in 2010. There is no evidence that women in particular were the target of those attacks. 5. In light of the above, the first question the decision-maker must ask is (1) whether the claimant genuinely is an Ahmadi. As with all judicial fact-finding the judge will need to reach conclusions on all the evidence as a whole giving such weight to aspects of that evidence as appropriate in accordance with Article 4 of the Qualification Directive. This is likely to include an enquiry whether the claimant was registered with an Ahmadi community in Pakistan and worshipped and engaged there on a regular basis. Post-arrival activity will also be relevant. Evidence likely to be relevant includes confirmation from the UK Ahmadi headquarters regarding the activities relied on in Pakistan and confirmation from the local community in the UK where the claimant is worshipping. 6. The next step (2) involves an enquiry into the claimant’s intentions or wishes as to his or her faith, if returned to Pakistan. This is relevant because of the need to establish whether it is of particular importance to the religious identity of the Ahmadi concerned to engage in paragraph 2(i) behaviour. The burden is on the claimant to demonstrate that any intention or wish to practise and manifest aspects of the faith openly that are not permitted by the Pakistan Penal Code (PPC) is genuinely held and of particular importance to the claimant to preserve his or her religious identity. The decision maker needs to evaluate all the evidence. Behaviour since arrival in the UK may also be relevant. If the claimant discharges this burden he is likely to be in need of protection. 7. The option of internal relocation, previously considered to be available in Rabwah, is not in general reasonably open to a claimant who genuinely wishes to engage n paragraph 2(i) behaviour, in the light of the nationwide effect in Pakistan of the anti-Ahmadi legislation. 8. Ahmadis who are not able to show that they practised their faith at all in Pakistan or that they did so on anything other than the restricted basis described in paragraph 2(ii) above are in general unlikely to be able to show that their genuine intentions or wishes are to practise and manifest their faith openly on return, as described in paragraph 2(i) above. 9. A sur place claim by an Ahmadi based on post-arrival conversion or revival in belief and practice will require careful evidential analysis. This will probably include consideration of evidence of the head of the claimant’s local United Kingdom Ahmadi Community and from the UK headquarters, the latter particularly in cases where there has been a conversion. Any adverse findings in the claimant’s account as a whole may be relevant to the assessment of likely behaviour on return. 10. Whilst an Ahmadi who has been found to be not reasonably likely to engage or wish to engage in paragraph 2(i) behaviour is, in general, not at real risk on return to Pakistan, judicial fact-finders may in certain cases need to consider whether that person would nevertheless be reasonably likely to be targeted by non-state actors on return for religious persecution by reason of his/her prominent social and/or business profile.